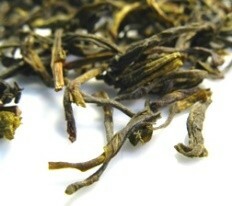 Ceylon green tea is a smooth and fragrant green tea from Sri Lanka (former British colony of Ceylon). 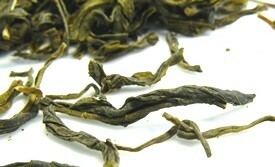 With beautiful dark green tea leaves, the leaves may be rolled or twisted depending on the tea estate manufacturer. Why drink this green tea? Full of the health benefits that are typically found in green teas, this is a great weight loss tea and so much more that you will want to make it a part of your tea collection. Rarer than the Ceylon black tea variety, this is a tea that any green tea lover will enjoy for its characteristic flavor with vegetable notes. and have a nice cup of green tea! Ceylon tea is a type of tea grown in Sri Lanka and it is nowadays one of the most famous producers of tea. Brought to Ceylon by the British in 1824, tea ended up replacing coffee crops after a virus attacked all coffee plantations. In the beginning tea estates focused on exporting only black tea but recently have moved forward to export green and white tea as well even though low scale production of these two types of tea also dates back to the 19th century. To learn more about the origins of tea in Ceylon, please go to the Ceylon tea page. Ceylon green tea is still continues to be produced only in a few estates in Sri Lanka. 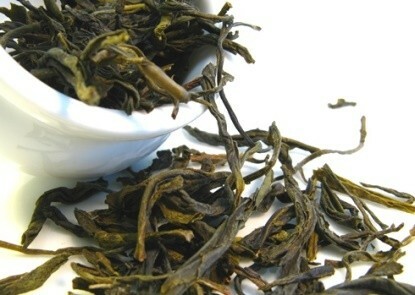 Production methods follow Chinese green tea grades: rolled tea leaves like gunpowder tea or twisted and open like hyson tea. 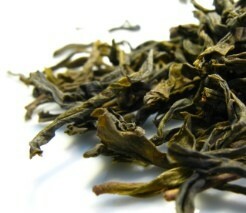 Still leaves are darker than the Chinese grown varieties. This tea is considered to have full body with a malty and nutty taste with a pungent aroma that seems to be more in common to the Assam tea variety. With the growing popularity of green tea health benefits, you are likely to start seeing Ceylon green tea available near you, so let’s check out what these benefits are. Derived from the same tea plant as black tea leaves, green tea is made unoxidized tea leaves and this difference in the processing methods, gives it different tea properties. Because the green tea leaves are not oxidized, they contain a higher amount of antioxidants (also known as polyphenols) and vitamins that are at the source of the following green tea health benefits. The greatest benefit of the presence of a high amount of polyphenols in Ceylon green tea is how it lowers your blood pressure and reduces high cholesterol levels. Taking a daily cup of green tea, unsweetened, may be a great help to reduce the risk of heart disease or stroke. It is a great coffee substitute as it contains some caffeine but not as much as a regular cup of coffee, thus keeping mentally aware but reducing the pressure you are placing on your heart. This green tea may be a great weight loss tea and is indeed a great choice to aid in a fat loss diet. It has thermogenic properties that stimulate fat oxidation and it also boosts your metabolism, making you burn fat faster. Along with a healthy diet and regular exercise, this tea can help keep hydrated while stimulating your body to eliminate wastes and fat that are harming you. Drinking this type of tea on a daily basis is good for your brain. The presence of antioxidants, namely catechins and also caffeine in green tea, increase brain activity and enhance your memory. Along with keeping awake and feeling sharp, this tea is likely to reduce the probability of dementia and depression by keeping your brain functioning properly. Did you know that drinking unsweetened green tea can eliminate bacteria that cause tooth decay and bad breath? Rinsing with tea after meals is a good option, as you will feel an instant freshness and it will help you prevent bacteria that can both harm your mouth and cause stomach ailments. Next time you go to a restaurant, ask for tea instead of coffee at the end of your meal. No need to hurry to the bathroom to brush your teeth and this tea will also help your digestion. A cup of of this Ceylon tea regularly will provide you with defenses to fight infection and inflammation that harm you both internally and externally. 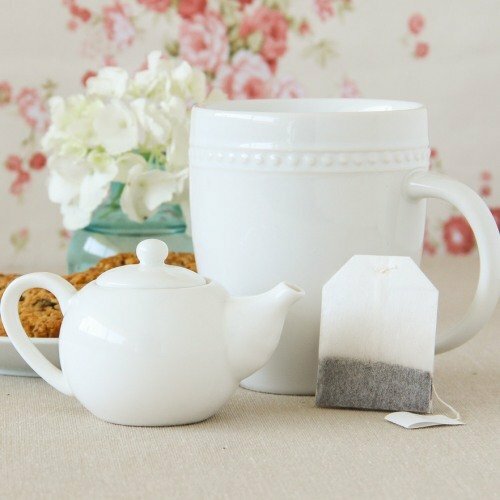 By keeping you hydrated and reducing potential damage from environmental agents like pollution, you are drinking a tea that has antiaging effects. This is why green tea antioxidants can help you delay wrinkles and allow your skin to look fresher and brighter for a long time. To make sure you fully enjoy the benefits of drinking green tea, it is important to brew it correctly. So it’s time to learn how to brew Ceylon Green tea. The best teapot and teacups for this particular green tea should be white porcelain china. The white color of the tea ware allows you to see the true color of your tea and evaluate the strength of your tea as it brews. Always use spring water to protect the taste of your tea. Tap water often contains impurities and it may alter the flavor. This being a green tea, you shouldn’t let the water boil as it may ruin the tea leaves. Make sure the water temperature is around 80ºC – 90ºC (approx. 176ºF – 194ºF). Pour hot water into the teapot to warm it before making the tea. Once the teapot feels warm throw the water way and proceed. 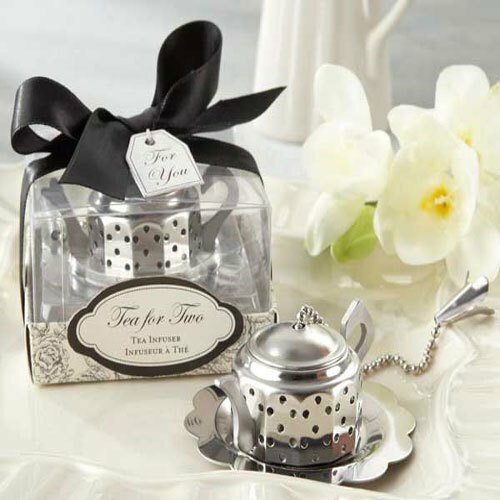 In the teapot place one teaspoon of loose leaf tea for every 220-240ml or about a cup of tea. Later you may adjust the amount of tea to your taste. This tea has a rather malty and pungent taste that seems stronger than other green teas. Let your Ceylon green tea steep for 3 minutes and serve. Letting the brewing for a longer period of time may render it rather bitter, so adjust time to your liking. It’s best that you drink this tea plain, to experience its true and full flavor, but you may add honey later on if you wish to sweeten it. This Sri Lankan green tea distances itself from Chinese green teas in flavor. 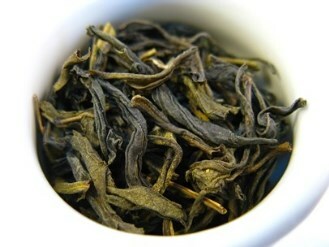 It is malty and nutty, darker in color, but at the same time it contains those vegetable notes that characterize any good green tea. You may rebrew your tea about 2 to 3 times, depending on the quality of the tea. 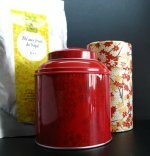 Keep in mind that you may need to adjust brewing time in order to get a good flavored tea. Sip and enjoy a great and rare cup of tea. Buy Your Ceylon Green Tea Today! Click on the image or on the link below to purchase from Twinings of London your High Grown Ceylon Green tea. 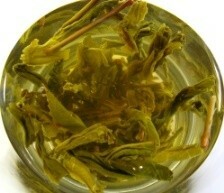 Have a cup of this rare green tea produced in Sri Lanka. 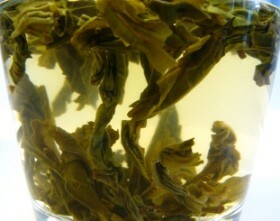 It is a wonderfully different green tea: a lovely malty, yet vegetable-like, beverage. It’s time to drink this wonderfully unique green tea. Taste it, smell it, sense every note of it and share this wonderful drink. Your Ceylon green tea journey is just beginning.